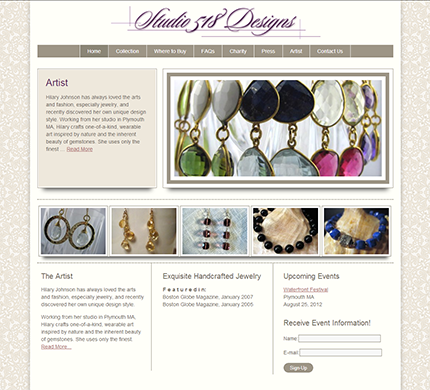 Studio 518 Designs wanted a new CMS website and PayPal shopping cart system. We choose WordPress. Studio 518 designs crafts one-of-a-kind, wearable art inspired by nature and the inherent beauty of gemstones. DeLime created a contemporary, yet retro, style to fit the style of the jewelry. I applaud Jim for his responsiveness to sudden problems. Getting it done quickly makes Jim especially helpful.